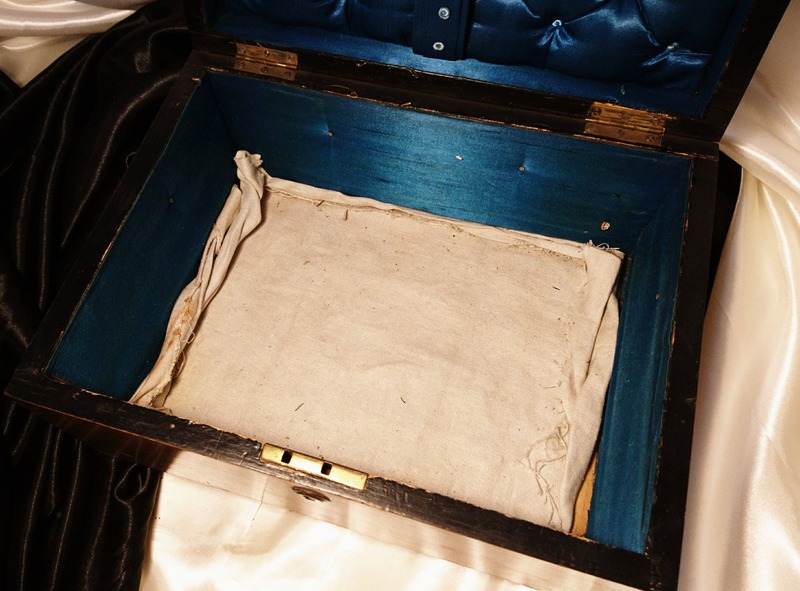 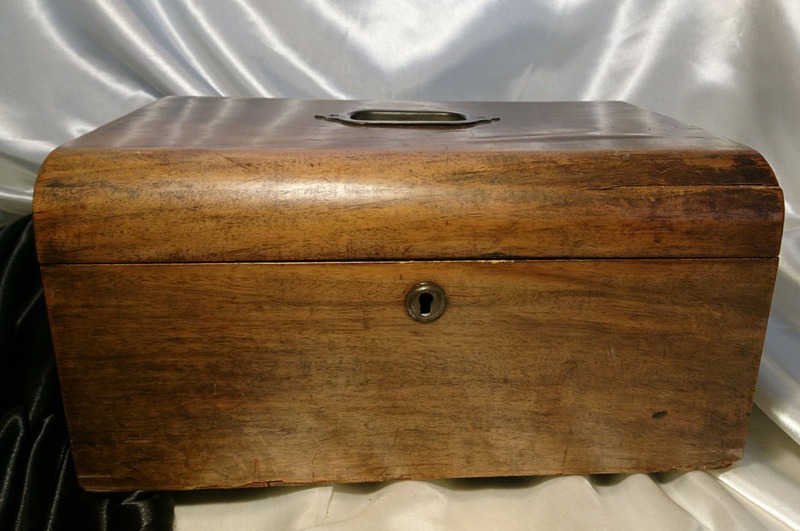 A beautiful antique sewing box which had been used by the owner as a deed box to store important documents. 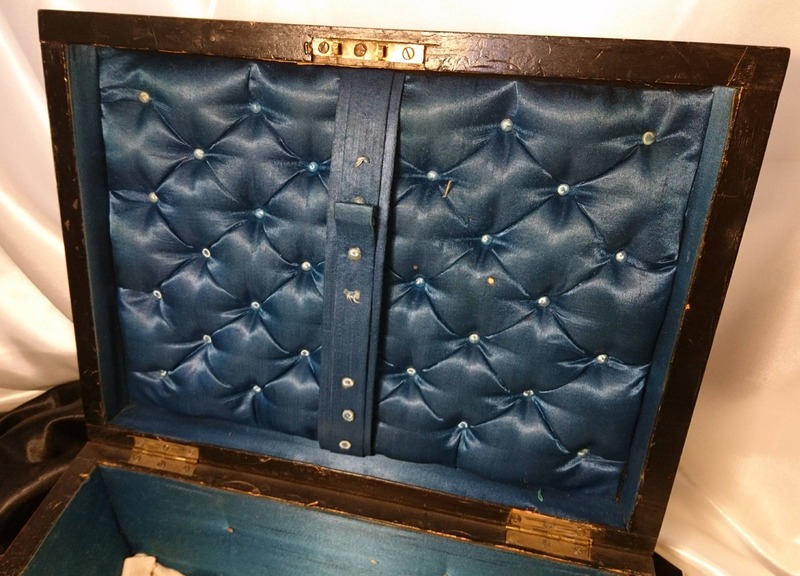 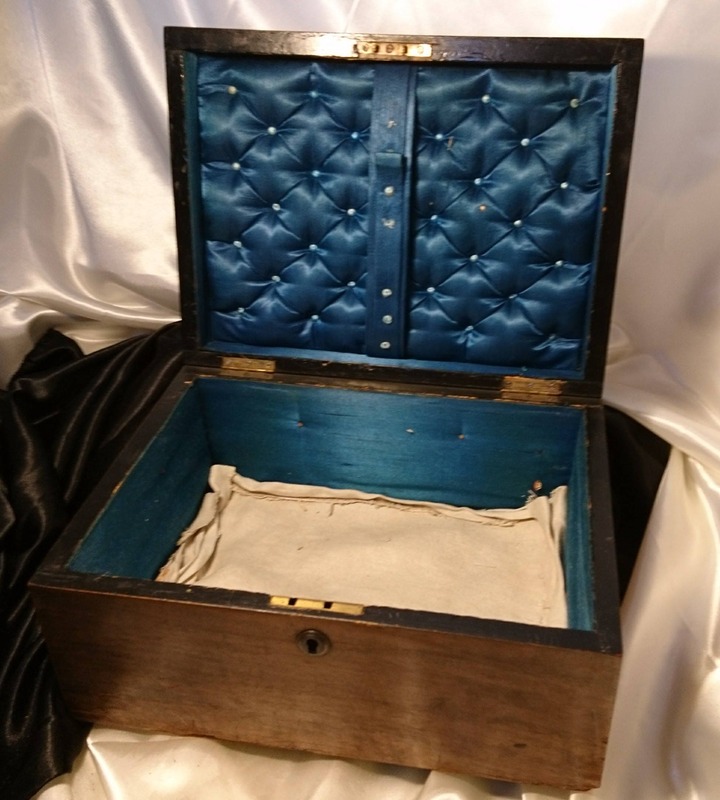 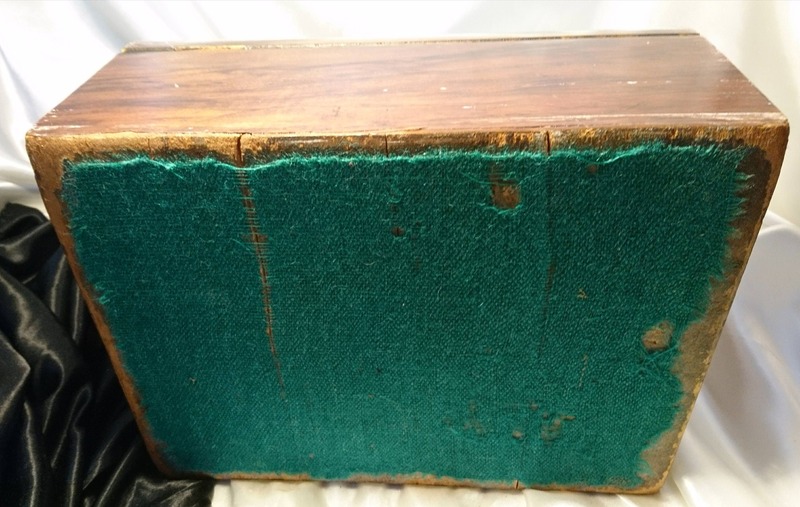 This Victorian sewing box is made from solid pine, stained and polished externally and lined to the interior sides with a royal blue satin, the underside of the lid being quilted and lined with the same blue satin and an internal strap to hold tools / implements. 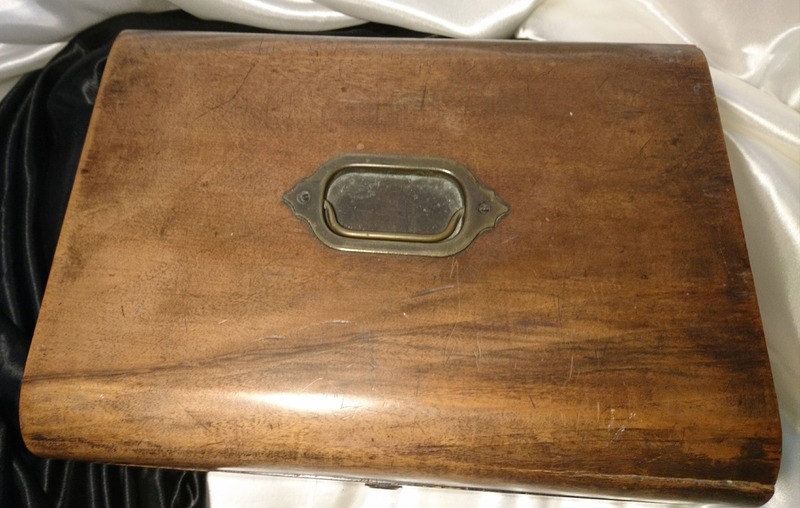 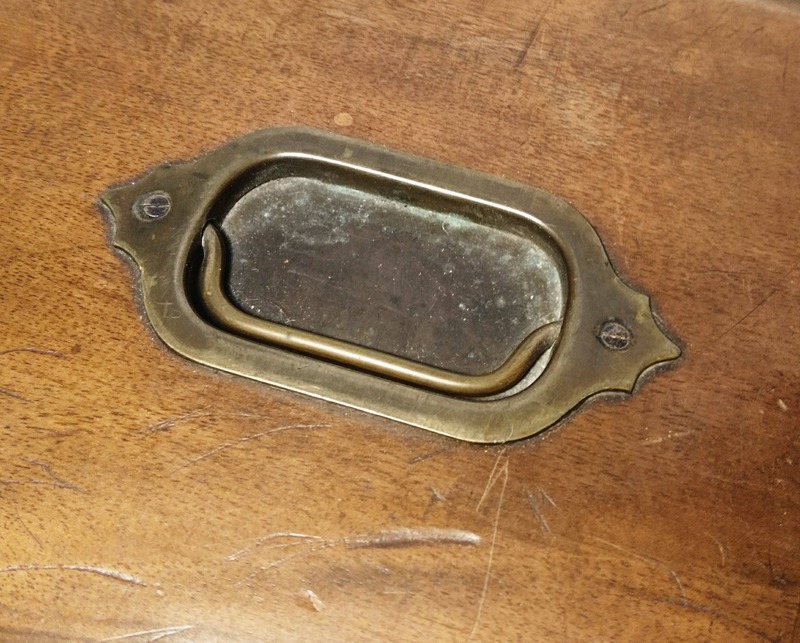 The bottom has no lining, the box has a brass handle and a lock but no key comes with it. 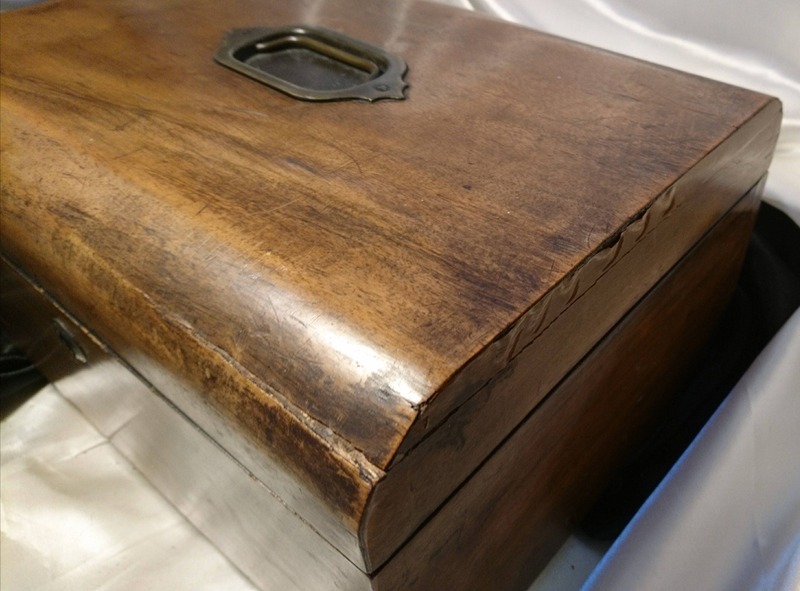 It shows some signs of wear / ageing but correspondent with the age and use. 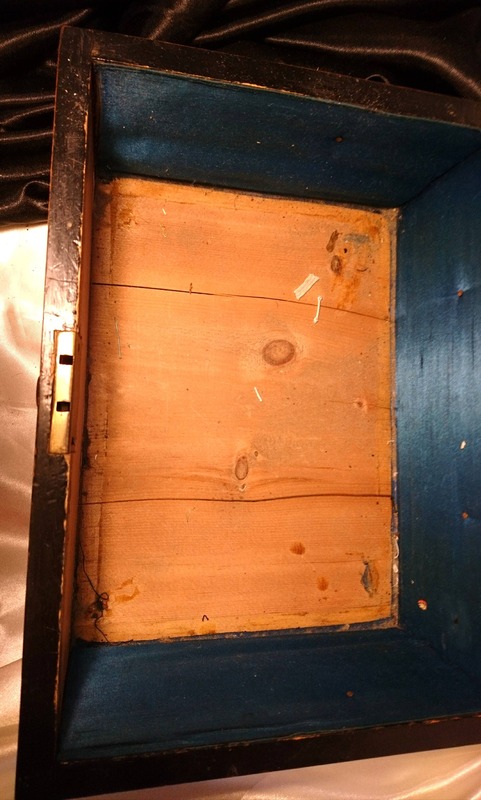 Overall a very strong piece and completely functional as is. 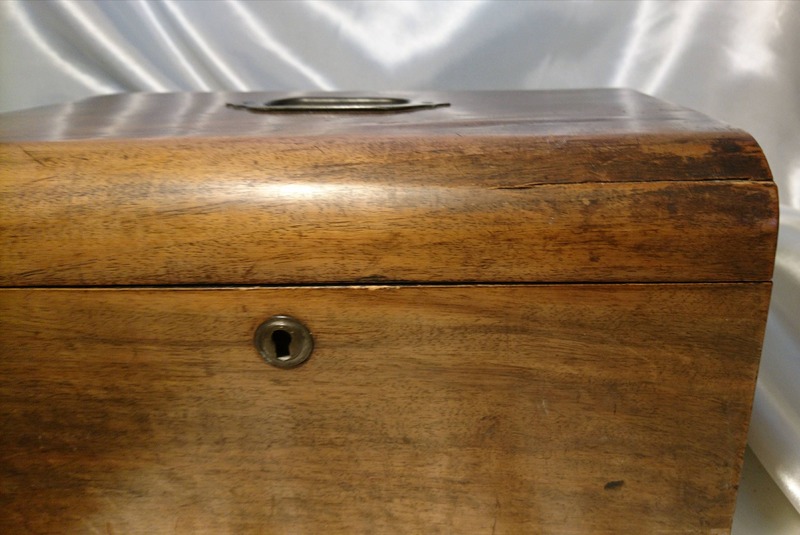 A beautiful storage box that could be used for sewing, crafts, keepsakes or documents.